Thanks for sharing Ossie. It was great to hear a bit more on the history of this car and what you have planned for it. Should be a nice reliable package for you once the restoration is complete! Keep us posted on the progress. Wow that is one hell of a restoration! Someone is going to score with this one. Hope it goes to a good home. I'm with you on this one. Modern performance with classic looks is the real drawcard here. How many older cars do you wish had a newer engine and better tech features etc. They have nailed the formula...except for the interior which looks like a dodgy autosalon car with all that alcantara. That said, I'm also a big fan of the Singer cars which are more akin to art in my opinion. The RUF engine may have the edge though. The specs are compelling and that is a bucketload of torque! Yes agree on the number exchange. I saw your Turbo down the far end Rob. Was looking particularly shiny today. I was parked down the other end out the back of the REIQ carpark. Maybe we should exchange mugshots rather than numbers haha. We probably cross paths a dozen times when walking the strip. Sounds like a plan. There are plenty of front engined owners in Brisbane these days. My Beemer is front engined...until I sort a Porsche. ? Is the one you see around your suburb this specific car that sold or a different one? Care to put me in touch with the owner if it's a different red S2... ? Bummer. Had my fingers crossed for the interstate deal Trev. Some garages are going to look great shortly! Edgy - Great idea but I'm already onto it. 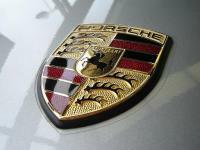 I've emailed every Porsche specialist workshop and dealer I know of throughout the country. I'm based in Brisbane. Most of the cars coming up for sale seem to be Sydney cars unfortunately... Plugger2 - Thanks mate. No luck with the Gumtree wanted ad yet but worth the exposure. I wish I could say yes re the Gumtree S2 but no it wasn't me. I contacted the seller late last night to request further details (and perhaps at least one photo...) but he already had four interested parties. It is a very unique colour from my google search. Zyclam red pearl (it's more a purple burgundy metallic) with white linen leather interior. Thanks Plugger. No this will be my first Porsche. What are the details on your black S2... ? Thanks for the thoughts all. My current preference is for an S2 but I would still consider a Turbo given the slim pickings. I'm aware of the market and acknowledge that $30k won't be an easy buy. I do feel it's a reasonable ballpark budget for a 'good' car though. I'm not expecting a sub 100,000km concours example at that pricepoint obviously. Case in point is the recent red 944 S2 in WA for $29k. That is my target car. Well cared for and an arguably fair price. I made contact with the seller the arvo it was listed but a deposit had already been taken. I'm in no rush (market aside) so let's see what becomes available and will go from there. I'm currently starting a hunt for a 944 Turbo or S2 coupe after a few years out of the market. I'm most keen on a red S2 but will consider other colours. I'm located in Brisbane but willing to travel Australia wide for the right car. My budget is ballpark $30k for the best possible car I can find. Should you be aware of a suitable car I would love to hear from you. Fair point jldmelb. My financial member status has now taken effect. Now to find the car to put a PFA sticker on. Looking good Jason. I thought it presented well at the last cars and coffee (just close your eyes when inside until that's sorted). I figure this thread will probably see the most relevant traffic for my request. I'm currently starting a hunt for a 944 Turbo or S2 coupe after a few years out of the market. I'm most keen on red but will consider other colours. I'm located in Brisbane but willing to travel Australia wide for the right car. My budget is ballpark $30k for the best possible car I can find. Should you be aware of a suitable car I would love to hear from you. New GT4 RS might come with 4L 6 cyl engine. It does sound like there is high praise on the new batch of four cylinder turbo engines, apart from the noise they make. Even that is subjective though. If you haven't experienced an NA flat six then the turbo four probably sounds great compared with other sports cars. Yes I agree Warren. I think I'd choose a new Porsche model that was more engaging than one that does 0-100kph 0.2 seconds quicker but then again I'm not the one with my neck on the chopping block if the new model doesn't sell well. From everything I've read the 911R is an incredible machine. I'd love to see Porsche apply the same ethos with the Cayman line but I'm not convinced they will. At least not in GT4 RS guise. I think that will be a numbers car (a couple of tenths slower than a GT3 RS, through gearing perhaps if it's snapping (pun intended) at the heels too much). I agree with you on the projector Tony. There is nothing like screen size. I went from a 24" pc monitor to a 120" projector screen and the immersion difference is wow! Assetto Corsa and Dirt Rally are my currents favs. I would also not rule out the trusty Logitech G25 wheel as it has perhaps the most flexibility re transmission options. It has traditional 6 speed manual, sequential shift and paddle shift. Most current wheels don't have sequential shift (e.g. for rally cars) to my knowledge. I've heard good things about Hartech on the grape vine. The owner (Adrian) owns a 944 Turbo to my knowledge. What work are you getting done Vinny? That's a really smooth dyno curve (well straight line really). Amazing how the torque is flat all the way from 2k - 6.5k rpm. Nothing like modern turbo engines. Only 5kw loss is impressive. Was a fun event but a shame about the rainy weather. Good turnout considering. I snapped a few pics on the iphone (no SLR that day) if anybody wants me to post them. It was the usual suspects, although I think I saw Jason's new S2 out for the first time? Hi Trev, what would you estimate the weight and depth to be per sign? Do you have a photo of the rear of the sign showing the aluminium frame? I'm just trying to see if it would be feasible to courier one sign cut in two pieces (assuming you'd consider this option).